Well anyway…the easiest way to do this is to look at the major players, the main families, acoustic and electric and take it from there. 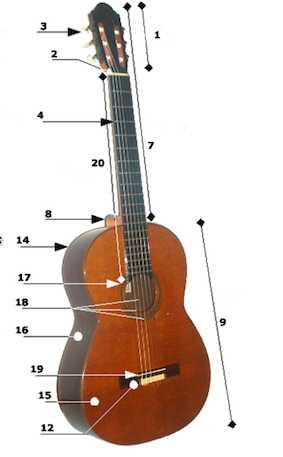 There are two main types of acoustic instrument. The nylon string and the steel string version. Lets make sure we understand this term acoustic first though. I hear a lot of people, kids and adults alike, getting a bit confused about the nomenclature sometimes. An acoustic instrument of any kind simply refers to the fact that its sound is produced with out any electrical amplification. Its volume is solely based on its ability to generate sound waves using some kind of resonant chamber or passive speaker set up. Below here are a couple of videos that were used to auction a couple of "playable" instruments on line in the past. About the Aria MM20 video, please remember I am NOT a Gypsy Jazz player. I am only demonstrating a guitar of that construction style. Any playing techniques were solely for discussion of that particular instrument at the time. The nylon strung came first. The original strings were animal gut like many stringed instruments prior to the development of the nylon polymer around 1930. The Spanish or Classical instrument﻿ is used generally to play classical or folk music quite often with a finger style of plucking with no other plectrum or pick held in the strumming hand. (usually the right hand for right handed players with right hand strung instruments). There are variations such as the visually subtle but aurally prominent features that distinguish the Flamenco style instrument of folk musicians of southern Spain from the mainstream instrument of classical concert players. 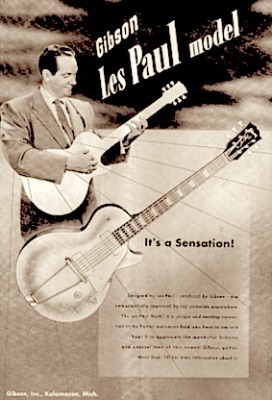 The steel string (not to be confused with the “steel guitar”), sometimes called a “Flat top” is a descendant of the classical version. It is strung with the much louder, brighter and higher tension steel strings and is quite often referred to as just an acoustic. A good thing to remember here is that you don’t want to put steel strings on a classical guitar. The bracing and construction in general will not withstand the tension for long and damage is inevitable. It is just a matter of how long until it does happen. On the other hand nylon strings won’t hurt the acoustic steel string instrument with its neck truss rod and heavy internal bracing. It just may not be the best sound for it. The advent of the electric guitar in 1931started by adding pickups to the existing arch top acoustic steel string instruments of the day. It was born out of the necessity of Jazz players to compete with volume of the big band settings they participated in. The electric instruments evolved quickly and drastically into what we now have today. Along the way from pure acoustics to electro acoustic to semi-acoustic models to to hi-tech solid body construction from space age materials. We have now reached a point where choice is dictated only by will and fancy catering for everything from small hands to wide fingers. Even in string manufacture hi-tech materials, methods and specialist gauges are common to fit what ever the playing style requires. The electric guitar has established itself as on of the most powerful instruments in a very wide variety of genre. Below is a short video demo of an Aria AC-25CE. It is a good example of the marriage of technologies old and new. This is pretty much a classical guitar with a cutaway and Fishman classic III preamp and internal pick-up device. The wood is fairly traditional. It has a red cedar top, mahogany neck, rosewood fingerboard and a laminated sapele back and sides. The finish is a high gloss of modern, probably quite hard and stiff, acrylic or two part polyester. Here is the classic Les Paul played with a real "bottle neck" slide cut from a real beer bottle! 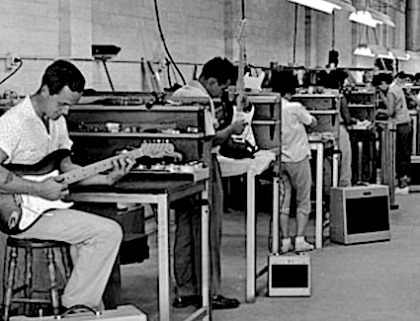 Two of the most iconic designs withstanding the test of time are the Gibson Les Paul and the Fender Stratocaster. The amazing difference between acoustic and electro acoustic/full electric is the fact that tonal characteristic is practically unlimited by the technology that turns the guitar into a controller device and volume is only limited by amplifier power and loudspeaker specifications. Besides this string gauges and amplification allows the set up to make ease of playing that is very much less stressful physically to perform. 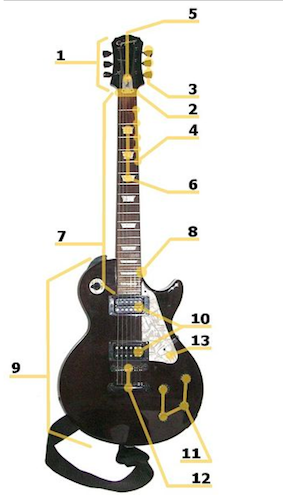 Have a look at the pictures and match the parts to the instruments. You can do it mentally or use internet resources or just scribble on scraps of paper. In fact for many things to do with music and music theory carrying around scraps of paper or a little notebook and a good pencil with a rubber can be invaluable. HINT: Scroll up and down from the pictures to the answers below and practice naming the parts. Happy Playing! Try to figure out what kind of learner you are. Are you a visual learner?... an aural learner?... a kinaesthetic (physical) learner? For an excellent wellspring of resources, forums and information about everything from music education to possible teachers in your area the RGT can be an invaluable organisation to bookmark.